A CFAES researcher has created a unique vaccine to protect swine from porcine reproductive and respiratory syndrome (PRRS), a viral disease that causes direct losses to U.S. swine producers to the tune of $664 million a year. Unlike the current live vaccines used to prevent PRRS, the new vaccine uses an inactivated virus to eliminate adverse reactions in pigs such as abortion, sick piglets and further spread of the disease, said Renukaradhya (Aradhya) Gourapura, an associate professor in theFood Animal Health Research Program, which is part of CFAES's research arm, OARDC. The new vaccine is also enclosed in biodegradable nanoparticles, which improves its efficacy and its absorption by a pig's immune system. The use of nanoparticles allows the vaccine to stay in the pig's system for four to eight weeks without being degraded. 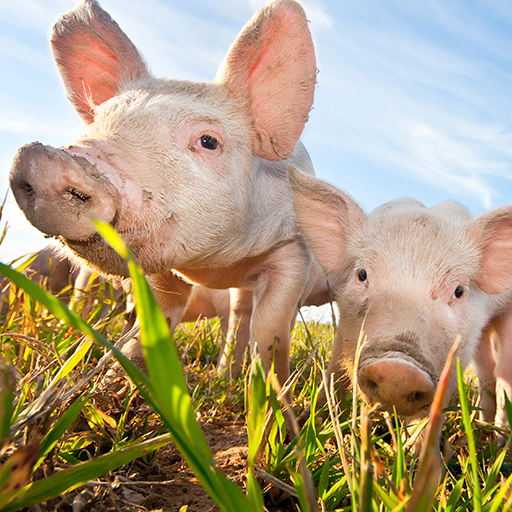 "Our tests have shown that two doses of this vaccine, administered intranasally along with a potent mucosal adjuvant, achieve 100 percent protection in pigs against genetically variant PRRS virus," said Gourapura, who started working on the project in 2009. "Current PRRS virus vaccines are injected in the muscle, but this method of vaccination induces very little immunity in the respiratory system, where it's actually needed," he said. "Applying the vaccine through the nose ensures that it goes directly into the respiratory system, where it's better taken up by immune cells and induces adequate local mucosal immunity against the virus." A patented technology, the nanoparticle-based PRRS virus vaccine is made from a biodegradable polymer of lactic acid and glycolic acid called PLGA. PLGA is an agent approved by the U.S. Food and Drug Administration for use in human vaccines and cancer drug-delivery systems. This is the first time the PLGA-based nanotechnology is being used with food animals. "Our vaccine has proven to be completely safe in tests so far, with no side effects associated with it," Gourapura said. "The use of nanoparticles allows the vaccine to stay in the pig's system for four to eight weeks without being degraded. The vaccine is also shelf-stable. We have tested it for one year without showing any loss of quality."